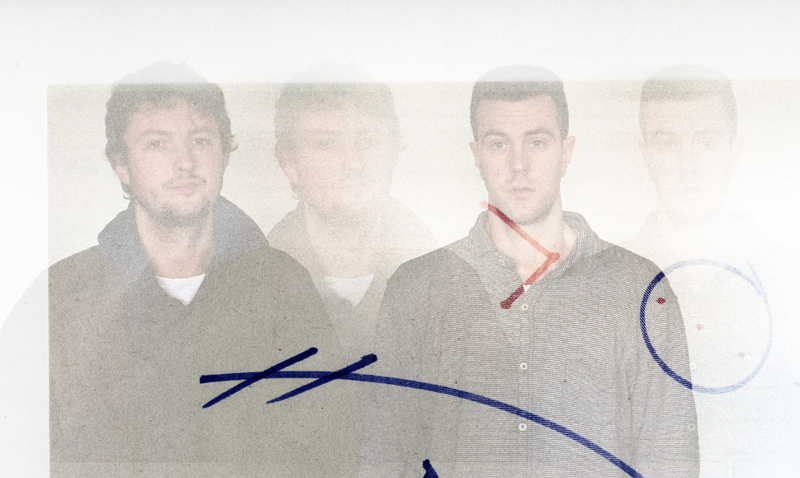 Mercury Prize-nominated Portico Quartet has always been an impossible band to pin down. Sending out echoes of jazz, elec- tronica, ambient music and minimalism, the group created their own singular, cinematic sound over the course of three studio albums, from their 2007 breakthrough ‘Knee-Deep in the North Sea’, and 2010 John Leckie produced ‘Isla’, to the self titled re- cord ‘Portico Quartet’ in 2012. Now rebooted as Portico Quartet after a brief spell as the three-piece Portico, the group are set to release their fourth studio album Art In The Age Of Automation this August on Manchester’s forward thinking indy jazz and electronica label Gondwana Records. Mercury Prize-nominated Portico Quartet has always been an impossible band to pin down. Sending out echoes of jazz, elec- tronica, ambient music and minimalism, the group created their own singular, cinematic sound over the course of three studio albums, from their 2007 breakthrough ‘Knee-Deep in the North Sea’, and 2010 John Leckie produced ‘Isla’, to the self titled re- cord ‘Portico Quartet’ in 2012. Now rebooted as Portico Quartet after a brief spell as the three-piece Portico, the group are set to release their fourth studio album Art In The Age Of Automation this August on Manchester’s forward thinking indy jazz and electronica label Gondwana Records. It’s an eagerly anticipated return, with the band teasing both a return to their mesmeric signature sound and fresh new sonic departures in their new music. So much so that their four-night run at Archspace E8 (June 22-25) sold out in less than an hour as fans from around the world scrambled for tickets to hear the return of Portico Quartet. Recorded at Fish Factory Studios in London at the beginning of the year and mixed at Voxton studios in Berlin, Art in the Age of Automation finds the band building on the sound world they first explored with their eponymous 2012 release Portico Quartet, mixing the cinematic minimalism, that first made their name, with electronic and ambient textures alongside a welcome return for Jack’s ethereal saxophone and Duncan’s unique mixture of live and electronic drums, as well of course as the band’s sig- nature sound, the chiming other worldy tones of the hang drum. It’s hard music to define, as Jack acknowledges. “Our sound falls between many genres, jazz, electronic music even minimalism in places, but naturally it’s an amalgamation of everything we’ve listened to”. And as you would expect from a band that have evolved with each recording, this is no barren retread of the past, instead it represents another step forward sonically and musically in the band’s ongoing evolution, as Jack explains. “We’ve really gone into detail with the sounds and production, building dense layers and textures but retain- ing a live, organic feel to it. We wanted to use acoustic instruments but find ways in which they could interact with more modern production techniques and technologies to create something that was identifiably us but sounded fresh and exciting, futuristic even.” Its an ethos that also informs the album’s title and the distinctive artwork by Duncan Bellamy (under his Veils Project identity) that adorns the album’s cover “The artwork came about when I started to explore the idea of scanning moving images. The resulting image is exactly that - a film playing on a tablet whilst the scan is in action. So the image is something created by the scanner itself, and in this way it establishes a relationship with the title of the album”. And it’s the mix between the human and the electronic that makes the music on AITAOA so fresh and exciting as Portico Quartet once again evolve their music into the future. The album opens with insistent, catchy Endless, which references the classic Portico Quartet sound, but expands outwards into a hypnotic, blissful collage of strings, hangs, electronics, saxophones and Bellamy’s unique drumming. It’s a sound that permeates the whole record, feeling both familiarly Portico Quartet, but transformed into something bold and new, sound- ing somehow bigger than ever but even more detailed. Elsewhere Rushing draws on the bands love of minimalist music, a repeated piano motif merges with a contorted vocal sample that twists its way through juxtaposed spaces to reach an uplifting resolve. Meanwhile the title track offers a moment of down-tempo respite: the hang drum is joined by a full horns and string section, culminating in a orchestral outro where cellos and violins blend with saxophones and hang drum to form a densely layered blanket of sound. The sound of strings are prevalent on much of the record, and as Duncan explains they add an extra layer of humanity to the music “It’s exciting working with a string section and to hear the ideas you sketch on a computer being played on acoustic instruments, then being able to direct them in a way in which is just not possible on a com- puter, it brings a real emotional depth and nuance to the record”. On A Luminous Beam an infectious drum grove drives the piece while synths, flutes and strings are layered with the saxophone floating freely over the top. Beyond Dialogue is clas- sic Portico Quartet, exploiting the ethereal, otherworldly timbre of the hang drums and Jack’s saxophone to create a hypnotic track that references minimalism and ambient music to create something beautiful and new. Current History has nods towards more electronic and dance music as drum machines underpin a collage of manipulated hang drums and saxophones. The al- bum finishes on the aptly tilted Lines Glow, the saxophone weaving its melody over an organ and string section culminating in an epic, euphoric moment of release. It’s a fittingly uplifting way to end an album that announces the return of one of the UK’s most singular, and influential bands, one that a decade from their founding are still pushing the boundaries of their music into the future and still sound like nothing you ever heard before.